When I look back six or seven years ago to the time when I decided I was going to start taking running more seriously, it reminds me of trying to work out what tech I was going to need to help me along the way. Music was always going to be a big part of that so I snapped up an iPod Nano and tucked that into an armband and made it through numerous pairs of running headphones. But then there was choosing what I would use to track my sessions on the treadmill and outdoors for those bigger runs. A dedicated GPS running watch was out of the financial equation at the time, while the prospect of owning a Garmin or Polar still felt like something for elite runners. With the iPod already secured I went with the compatible Nike+ sensor. A dinky little white device that promised to record my time, distance and pace. That's all I really needed and I was sold that wearing something on my foot would ensure that data would be spot on for indoor and outdoor running. I didn't have an expensive pair of Nike running shoes to slip them into so had to invest in a small pouch with a velcro strap that fit over my laces. I absolutely loved that thing and still have it in a box somewhere as a reminder of those early struggles of trying to run just a few miles without hurting all over. A few years later, having grown frustrated with the Nike+ Running app, I finally graduated to a proper running watch and I haven't looked back since. Garmin, Suunto and Adidas joined the footpod party during that time as well and even Misfit now lets you clip its fitness tracker onto your trainers. But it felt like the emergence of more affordable wrist worn wearables that offered up those same metrics meant my enthusiasm for the little footpod waned. For the first time in a long time, though, the idea of having a clip-on device on my running shoe is interesting me again, and that's for a couple of reasons. The main one being that the sensor technology now available has opened up the door for that dinky little device to do much more than it could back in those Nike+ days. Accuracy also remains a hotly debated topic, especially in relation to fitness trackers and smartwatches. In my mind, if you want to monitor running metrics reliably, you really want to put that tech as close as possible to where that pavement is being pounded. So there's some exciting stuff that's happening and a few new footpods have caught my eye recently. Like the Shft IQ from Shft, a startup that we recently named in our 20 hottest wearable startups of 2017. Along with serving up metrics like landing position, ground contact time and landing angle, it monitors running efficiency to double as a running power meter as well. Shft has also worked closely with Intel to bring one key ingredient; AI-powered, real-time coaching. Speaking of power meters, Stryd has been making a big push on this front for a few years now and I've recently been trying out the chest strap version. It now also offers the tech inside a footpod that takes the metric cyclists have been using for some time now to improve performance. Runscribe is another crowdfunding success story that has taken some time to get its dual footpod sensor out, but it's finally available to buy. It offers a whole host of data, including motion, symmetry and shock to analyse aspects like form, evaluate training load. It can even tell you what impact your footwear is having on your running. The emergence of smart running shoes are one reason footpods have taken a bit of a backseat in recent years and it's easy to see why. 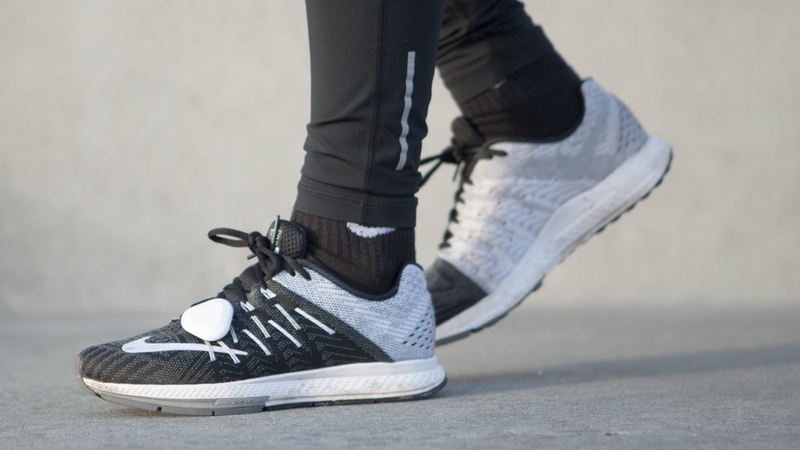 Companies like Under Armour with its new Connected range wants to make the tech invisible, embedding the sensors and its new muscular fatigue tech straight into the shoe. It's a similar story with the Torin IQ running shoe from Altra that builds in dual sensors to the trainer to offer real-time running metrics. Then there's also insoles, like the ones from Strydalyser insoles that replace dumb insoles and offer real-time pressure analysis to help prevent long term injury. Startup Arion is finally launching its insole and footpod setup, as well, which offers up coaching and metrics to help you avoid injury. While the idea of making this tech invisible is definitely a positive move, it does still pose a few problems for runners, including myself. Getting something that feels comfortable for one thing. As a barefoot runner convert, making the transition back to what I'd consider 'normal' running shoes isn't easy. But even non-barefoot runners know that running for miles with something that's doesn't feel right on the feet is not going to end well, no matter how much tech you pile into it. Footpods still give people the freedom to wear the running shoes they already own and love and that's key. I'm more prepared to clip on another wearable for that extra hit of data or coaching than ditch my favourite running shoes for a connected pair right now. I'm pretty sure there's a lot of runners that would agree with me as well. Do you still use a footpod? Which ones do you use and why do you like them? let us know in the comments section below.